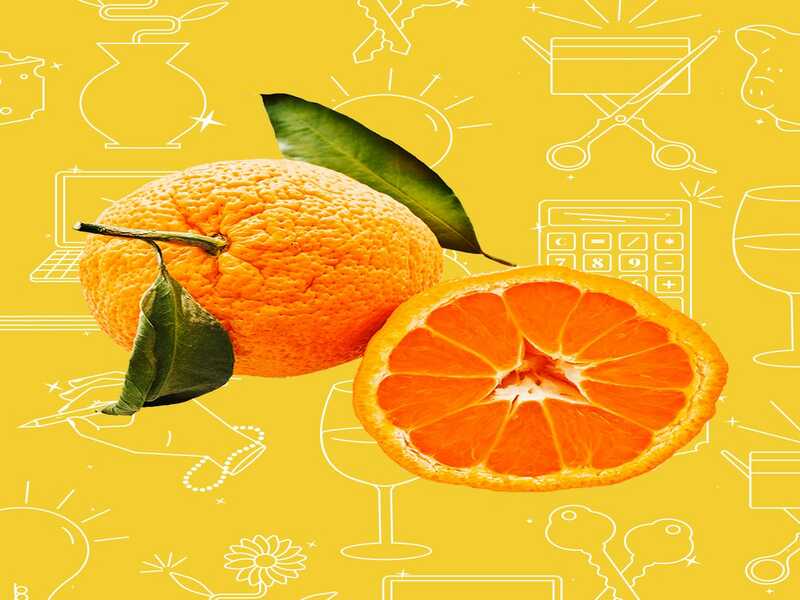 Today: an independent consultant who stimulates $86,000 per year and spends some of her money this week on satsuma mandarins. Occupation: Independent Consultant Industry: Food& BeverageAge: 29 Locating: Portland, ORIncome: $86,000 Paycheck Amount( Monthly ): Roughly $7,000. I charge $50 per hour and bill between 30 and 35 hours per week. I’m on retainer with one client and get a monthly stipend. For other projects, I invoice monthly. 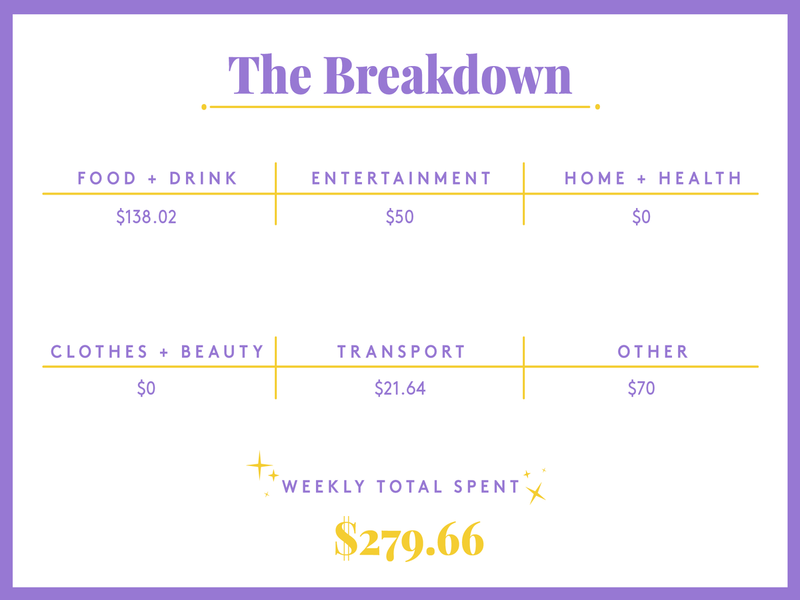 Monthly ExpensesRent: $1,000 ($ 2,000 total split with my fiance, T .) Utilities: $75 divide with my fiance ClassPass Lite: $15 Spotify: $9.99 Health Insurance: $285, paid out of pocket. Savings: T. and I just got engaged several months ago, so we just opened a joint savings account. I contribute between $1,000 – $3,000 per month, depending on my billable hours. We are saving for a wedding and looking to buy a house in the next year. 6: 38 a.m. — The cat wakes me up by meowing, and I stumble out of bed to feed her and let her out. My fiance, T ., and I open a side entrance for her in the morning and let her outside for a few hours. She comes in and out as she pleases until her early afternoon nap when T. locks her back in the house. ( He runs from home full-time .) We like to give her some freedom but also want her safely in the house at night. 7: 45 a.m. — My alarm goes off and I am groggy. I slept poorly because I had my wisdom teeth removed last week, and I just finished with the last of the analgesics yesterday. My jaw was sore, and I tossed and turned all night, but I wake up without too much pain. It’s Monday morning, and I am determined to start the week off on a good foot. I read the news in bed and snuggle with T. a bit before putting on a pot of coffee and checking emails in my home office. 10 a. m. — I drive to gratify a colleague for a product demo across town. I helped start a packaged goods food company this year, and we’re working on growing the brand. This entails lots of demos, events, and media interviews. Since the team is so small, we all take turns doing them. It’s a grind, but it really does help us connect to consumers. 12 p. m. — I head to a yoga class I booked via ClassPass for free. Making my own schedule allows me to take advantage of specials like this and lower-priced classes at off peak hours. The class leaves me freshened, and I head home to heat up some leftover butternut squash soup and finish work for the working day. The cat is back inside, and we have a good cuddle. 8 p. m. — Finished working. T. is at bowling tonight, so I put on Say Yes To The Dress in the background and clean the house. I also meal prep baked sweet potatoes with black beans, salsa, avocado, and feta for dinner tonight and lunches for T. and me for the week. T. gets home at 10, and we nuzzle on the couch watching Tv before calling it an early night. 7: 45 a.m. — My alarm goes off, and I wake from a dead sleep. Somehow the cat magically did not wake me this morning demanding food. I check social media and the news in bed for a bit before hopping up to make a pot of coffee, check emails, and eat a banana. 9 a. m. — Nothing is on fire with any of my clients, so I block off the morning to work on my business back end. When I started consulting, I didn’t realise how much effort and period goes into billing, seeing clients, and tracking expenditures. I have to block time to make sure this get done. I check QuickBooks Self-Employed( this app is a lifesaver) and categorize some transactions and milage. Last month’s billable hours were high, so I move $2,500 from my personal checking account into the high interest joint savings account. I have an interview with a potential new client tomorrow, so I look over my resume and client project listing and expend some time looking into the company. 10: 30 a.m. — Another day, another demo. This one goes really well, and I make a lot of marketings. On a high, I head to the gym and run on the treadmill. 7: 45 p.m. — I attain cauliflower puree with some leftover creamy mashed potatoes from the weekend and bacon-y Brussels sprouts. 9 p. m. — T. and I go to a friend’s housewarming party and bring some brew from our bar cart hoard. We stay later than we mean to, but it’s great to see these friends. I am hyper from late night ice cream and read in bed while T. sleeps next to me. I pass out around 1:30. 7: 45 a.m. — Alarm goes off. I build coffee and check emails. I am a creature of habit. 9: 30 a.m. — I walk a few blocks to a seriously discounted Crossfit class( thank you, ClassPass !) and then go home to shower, make a smoothie, and get ready for the day ahead. 11: 30 a.m. — I have a coffee interview with a potential client that goes better than expected. ( She pays .) I leave energized and excited about next year’s prospects! 1 p. m. — I head to the warehouse/ coworking space where I have a desk( free through one of my clients ). I eat my sweet potato and walk around the block with a friend/ coworker while enjoying the sun. There’s a baking competitor, and we agree to combine efforts and submit a spruce tip-off cheesecake with wild berry compote. I prep for a client session this afternoon. 2: 30 p.m. — I drive across the river for a client meeting, and I’m able to nab free parking in downtown Portland( unheard of !). 8: 30 p.m. — Eventually home and T. has induced dinner! I feel so grateful as we dig into TJ’s cauliflower gnocchi, spinach, peas, mushrooms, and pesto sauce. We eat in the dining room and chat about our days. 6: 25 a.m. — I groggily let the cat out and nuzzle back in bed. 7: 45 a.m. — Alarm goes off, and I snooze and read socials and news in bed. I drag myself out of bed around 8: 30 to build coffee and check emails. I have a morning of back-to-back conference call that I will take from my home office. 11: 30 a.m. — My last bellow of the morning wraps up a bit early, so I have time to go for a quick 5K running, shower, and get ready for a networking lunch for women in sustainable food at my coworking office space. I eat the last of my meal prepped sweet potatoes for lunch. 7 p. m. — I get home from run and T. and I make an Ottolenghi recipe of meatballs with pine nuts, roasted eggplant, cherry tomatoes, and tahini. 8: 15 p.m. — My friend/ coworker gets to my house, and we drink wine, catch up, and stimulate the cheesecake for the baking tournament tomorrow. I’ve been watching so much Great British Bake Off that I am overly confident about my nonexistent baking skills and get whipped cream all over the kitchen. We crack up and listen to records as I clean up my huge mess. I hope the cheesecake decides correctly in the fridge overnight! 7: 45 a.m. — It’s Friday! Woo! I construct coffee to run, grab a banana, go straight into the office, and work on a few different projects all morning. 12: 30 p.m. — I go to a spin class at my gym( included in membership ). The class isn’t great, but I get in a good sweat. Afterwards, I go home to shower, and T. and I stroll across the street to get Whole Bowl for lunch. He pays. 2 p. m. — Back in my home office, I’m daydreaming about the new client I met with on Tuesday. I’ve been in business for myself for a year, and I’m feeling very reflective these days about what some of my aim and plan for growth will be in the next year. I snap back to reality and wrap things up for the week. On Friday afternoons, I make sure my billables are logged correctly, and I send all clients a progress report on work completed this week and concentrate for next week. 9 p. m. — Party aims, and T. and I walk over to visit a friend who is bartending at a eatery nearby. He hooks us up with wine for me and beer for T ., and we sit at the bar and chat with him. 10: 30 p.m. — T. and I walk over to another bar and meet up with some other friends. I drink two vodka sodas( T. pays ), and realise I am Starving around 1 a.m.
10: 30 a.m. — Wake up groggy but not too hungover. I induce us a leisurely brunch of coffee and avocado toast with poached eggs and spinach, and we watch Netflix and doze off on the couch. 5: 30 p.m. — T. pickings me up from the class, and we go get pho for an early dinner. He pays since I got dinner last night. 7 p. m. — I take a shower, do a face mask, and paint my nails. I’m glad we are keeping it low-key tonight. 10 a. m. — I go to a hot power yoga class that I pre-paid for. I drive, since parking is free on Sundays. When I get home, T. has stimulated brunch. We dig into a scramble with chicken apple sausage, kale, potatoes, eggs, and hot sauce. It reaches the spot. 7 p. m. — We build roasted pork loin and veggies for dinner. Money Diaries are meant to reflect individual women’s experiences and do not necessarily reflect Refinery2 9’s point of view. Refinery2 9 in no way fosters illegal activity or harmful behavior. Mint can assist you build those short- and long-term savings goals a reality. Click here to learn more. Is A Strong Community The Secret To Success For Female Founders ?